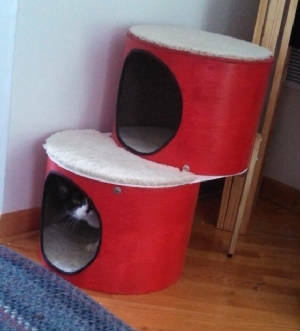 Jingles peeks out of his bottom cubby. 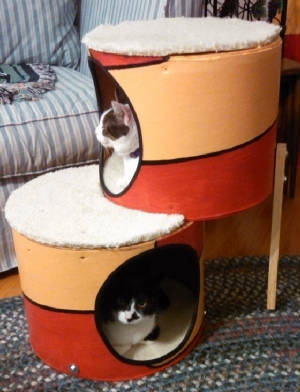 16" diameter tubes for the largest cats; removable carpet inside for ease of cleaning. 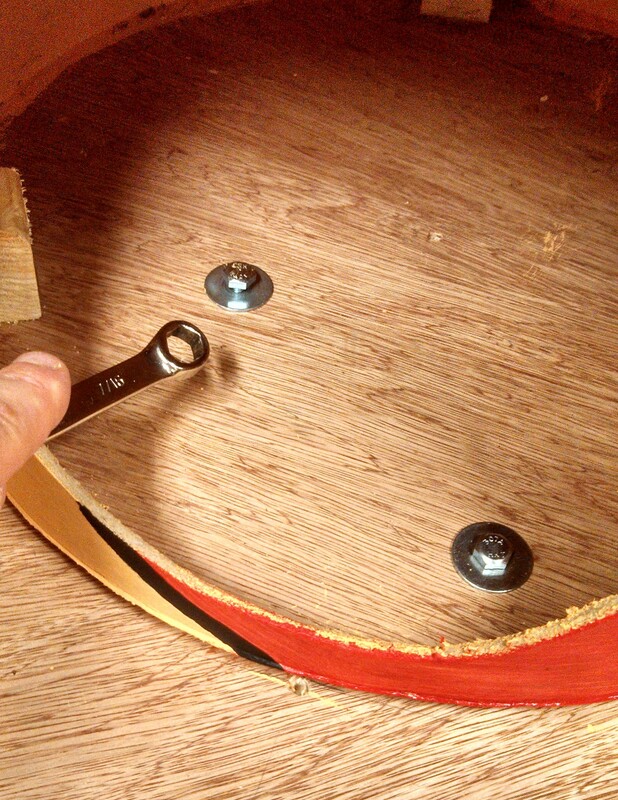 Sturdy plywood tops and bases; reinforced mid-section, connect together with 1/4" bolts into nut-inserts. Rear support struts have non-marring plastic pads, height-adjustable for uneven surfaces, no tools required. Painted with base and top coats, then protective clear coat; water-resistant, easy to clean. 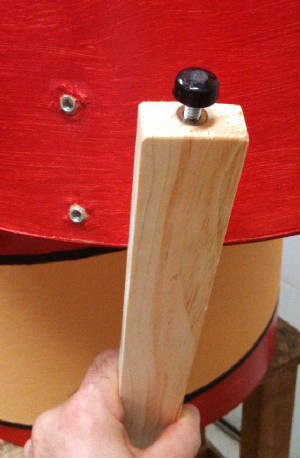 Simple assembly; only tool needed is 7/16" open-end or adjustable wrench. Only 12" to the second level for easy climbing. Only 2 feet total length for placement in tight spots. Round entrances are offset 90° from one another. Both models available in solid or two-tone color patterns. Check with me for current available colors. 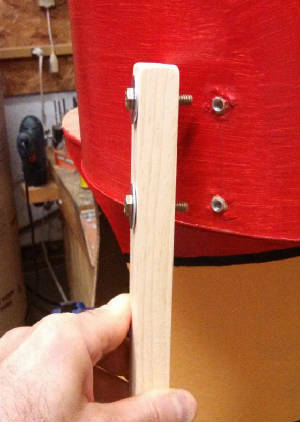 Rear vertical struts connect securely into embedded nut-inserts. Plastic pads on bottom of struts are easily adjusted for height. Main connection of top-to-bottom uses two bolts into nut-inserts. Easy access connection uses bolts and embedded nuts. Coming soon... Quad wheelchair (4 wheels) for severely affected CH cats!